Welcome to Montclair Garden Care! 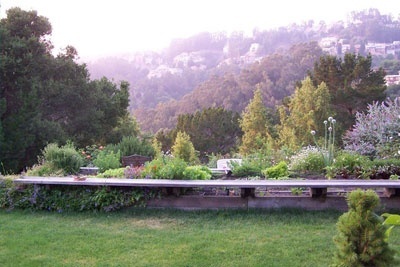 Professional: We are a California State Licensed Landscape Contractor (#627662). We are bonded and carry both Workers Comp and General Liability insurances. You should be assured before hiring a crew that they are insured. After a laborer slips and falls on your site, it’s a little late. Owner-Operated: Though big enough to be licensed and insured, we are a hands-on, owner-operated business. We always have an English-speaking foreman or Jeff Cabot, the owner, on site. We are dedicated to the art and craft of gardening. Our goal is to create and maintain gardens that are visually appealing and tranquil—a garden where you can entertain, play, or simply relax and reflect. Our dedication to the craft of gardening assures that both the seen and the unseen elements of your garden will receive the same installation expertise. Need an Expert Gardener? Call Us! Hire the brilliant gardeners of Montclair Garden Care for your next project and have the peace of mind knowing your outdoor spaces are managed by the experts. We specialize in weekly, bi-monthly, and quarterly garden care. Get in touch with us today to inquire about the comprehensive garden care and landscaping services we offer. We look forward to hearing from you! Call us for an appointment or consultation!